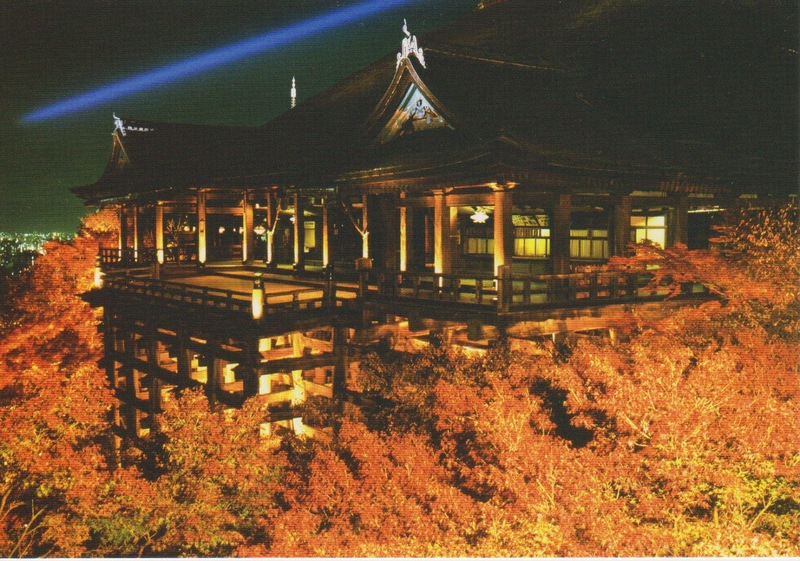 This is Kiyomizu-dera, a Buddhist temple in Kyoto that used to be our imperial capital for over the 1,000 years till 1869, and it is a part of the Historic Monuments of Ancient Kyoto UNESCO World Heritage site. The temple was founded in the late 8th century, and its present buildings were constructed in 1633. What makes it really beautiful is that not a single nail is used in the entire temple (it's a very big temple!). 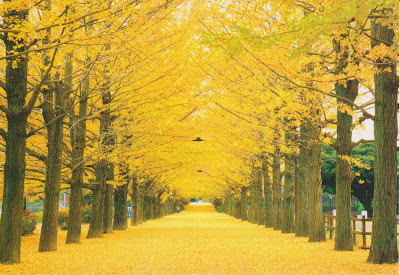 I've been there several times but never in autumn. 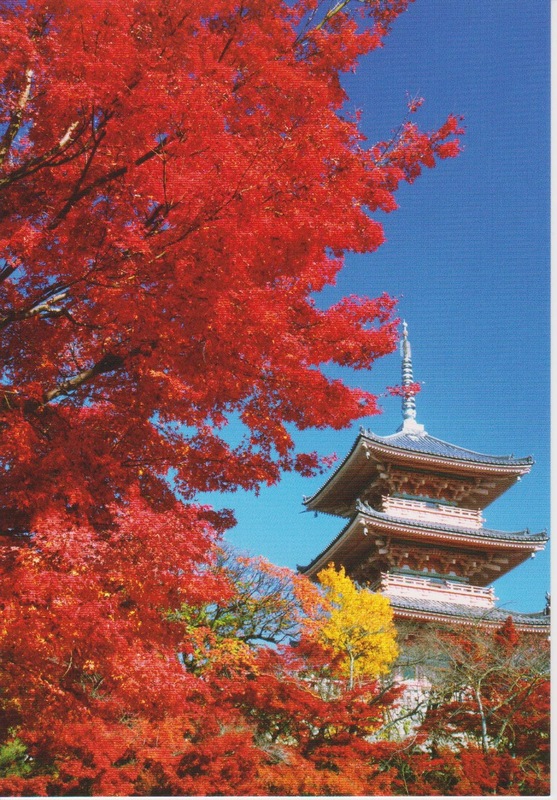 I hope I can see the temple surrounded by the beautiful autumn leaves like the postcard shows someday! 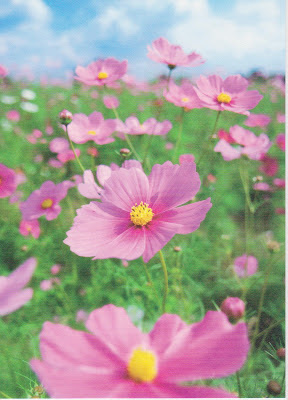 Our autumn flower, cosmos. 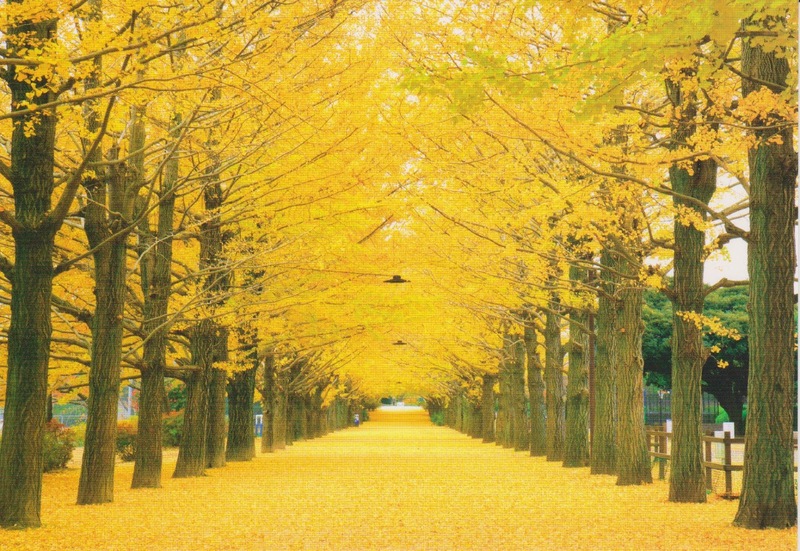 :) What's your autumn flower in your country? 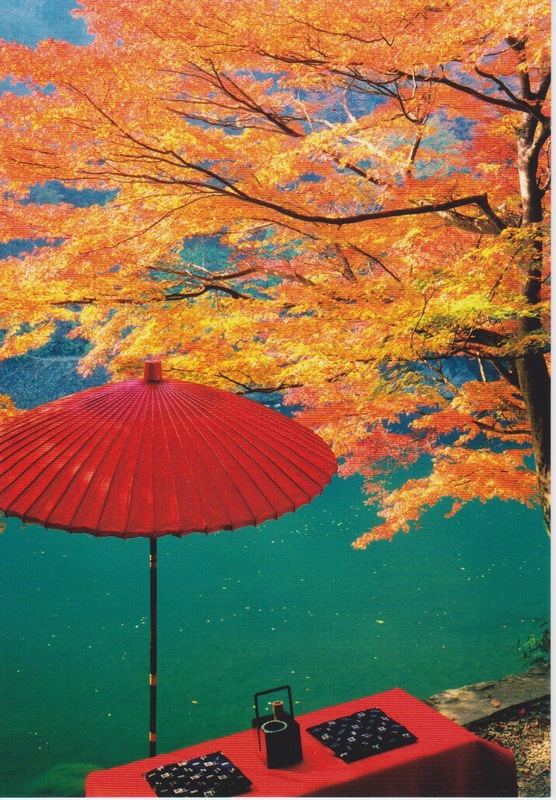 Another beautiful autumn view in Kyoto, Arashiyama region. This one also shows the autumn in Kiyomizu-dera. How is the climate like in your area right now? In my town is really cold today. It is about 15C. It is wird because yesterday was much warmer and sun shined... I can say that is typical for my country, but I can`t get used to it! Thanks! :) Same here. The temperature still goes up and down all the time over here, and it was between 20C and 25C few days ago, but today it will go up to 30C. :( We had a big typhoon yesterday, and it brought a warm air from the south I guess. Have a nice day!